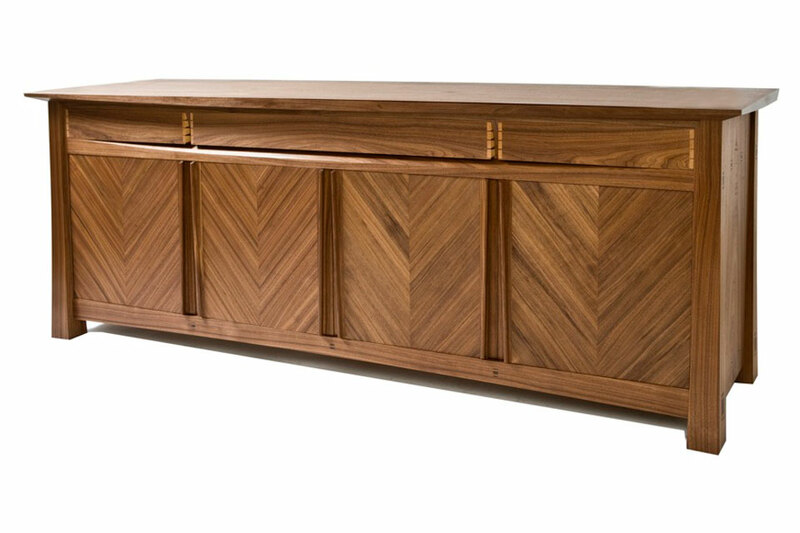 This bespoke sideboard was commissioned by a client who wanted a piece of furniture made using traditional cabinet making techniques throughout, so it would be an heirloom piece, to be passed on to his children. 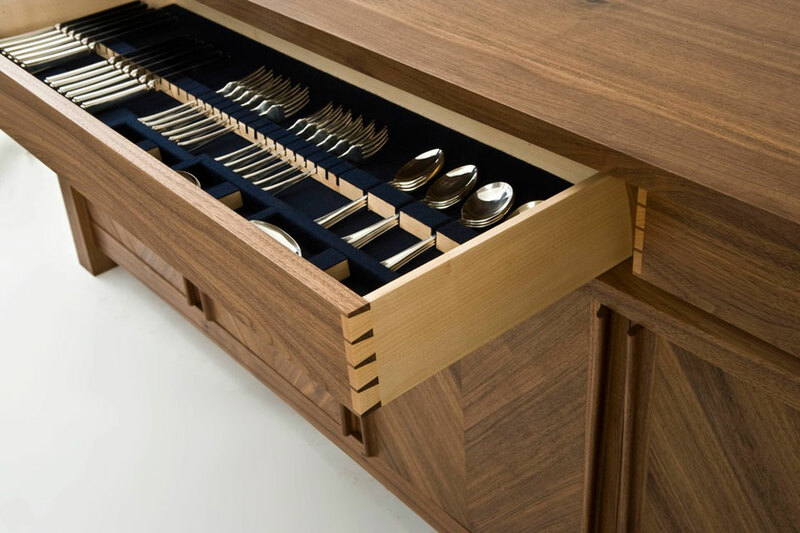 It was developed for a specific space within the clients dining room, to hold the family silverware and crockery. The sideboard took inspiration from the architecture of a Japanese temple roof, as the client has lived in Japan for many years, where he met his wife. 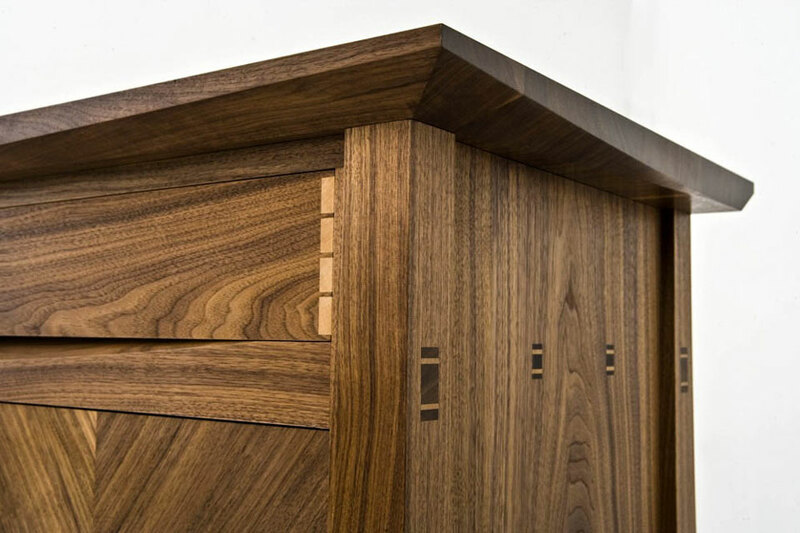 This idea is realised through the cabinet tops upward flowing curved chamfers on both sides, as well as the mirrored oblique grain patterns of the sideboard doors. From the beginning of this project the emphasis was on craftsmanship and honesty of construction through the use of exposed joints. The tapering legs and through wedged tenons give weight and solidity, countered by the flowing grain direction on the drawer fronts and under arching chamfer on its top. 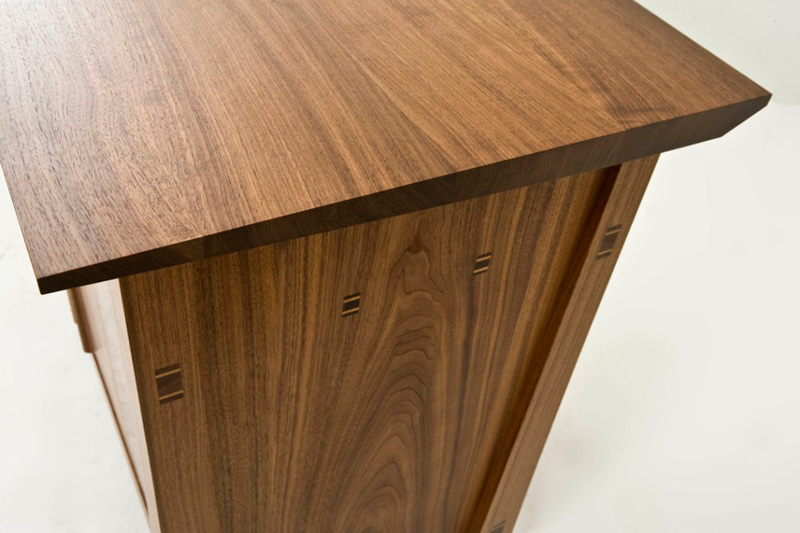 The sideboard’s design allows a comparison between the carefully selected timbers, highlighting the striking contrast between the rich Black Walnut and the light Sycamore. The simplicity and honesty of the design result in a strong, yet elegant statement. Tell us what you're interested in, and how best to contact you, and we'll get back to you.